Outlaw country music icon Waylon Jennings’ son, Terry, provides an intimate and revealing look at the life and times of his father, on and off the stage. Born when Waylon was only nineteen years old, Terry grew up more like Waylon’s brother. On the road together, they toured with legends such as Johnny Cash, Willie Nelson, and Kris Kristofferson, leading a reckless lifestyle centered around music, hard drugs, and women. Critical acclaim, bestselling albums, and sold-out tours were at times overshadowed by the darker aspects of fame, from drug use to womanizing to debt and depression. 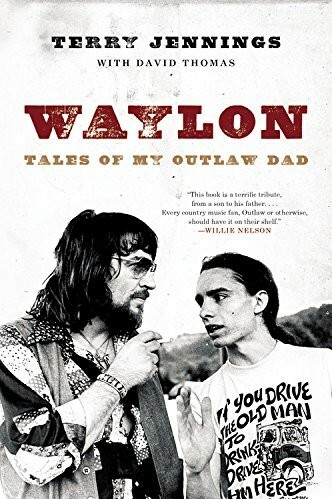 Debunking myths and sharing stories never before told, WAYLON is a loving and strikingly honest portrait of a father by his son, one that will resonate for generations of fans.